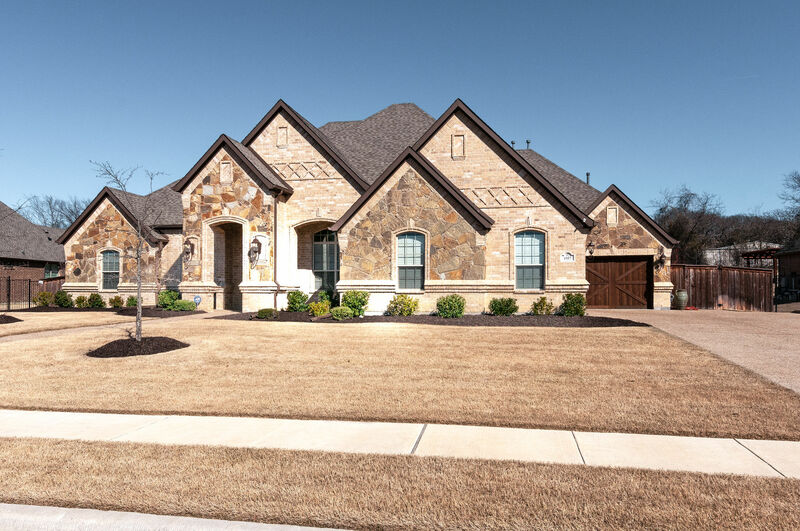 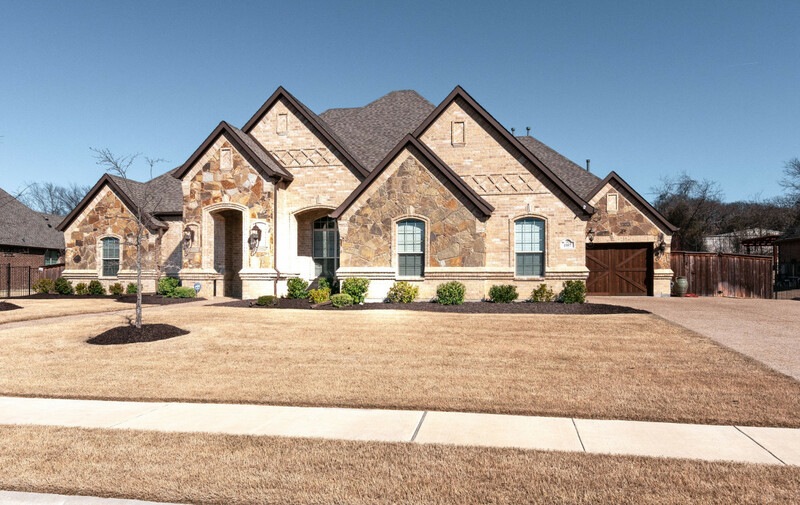 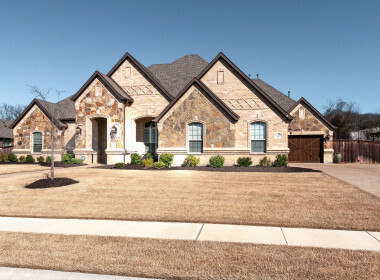 Immaculate 4 bedroom, 3.1 bath home in the popular Marshall Ridge Community. 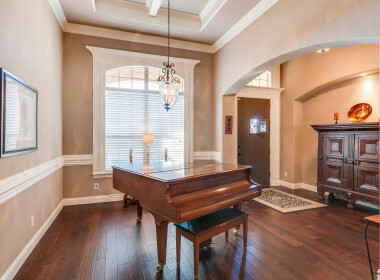 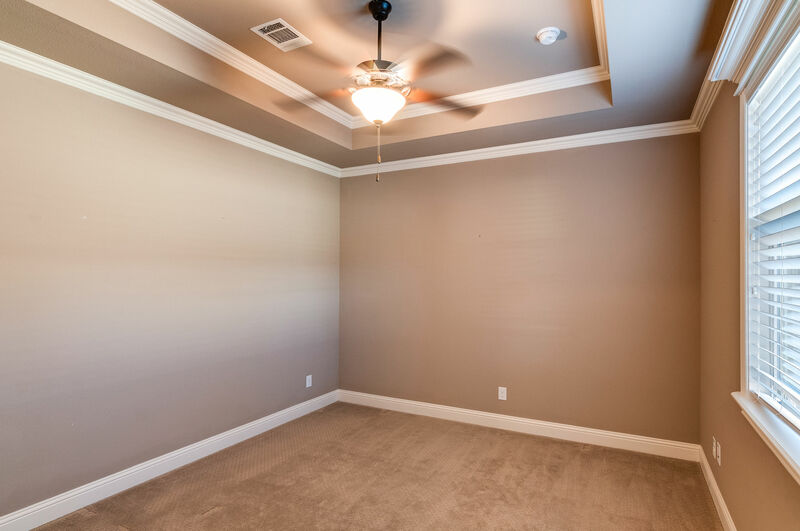 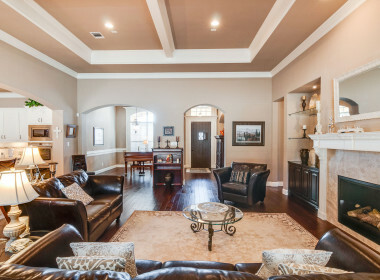 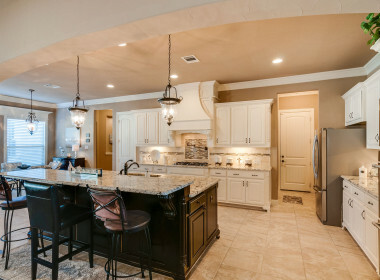 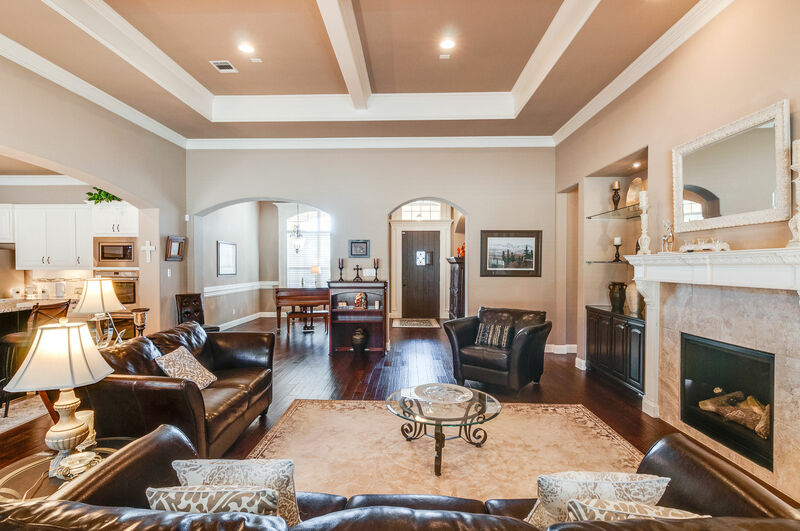 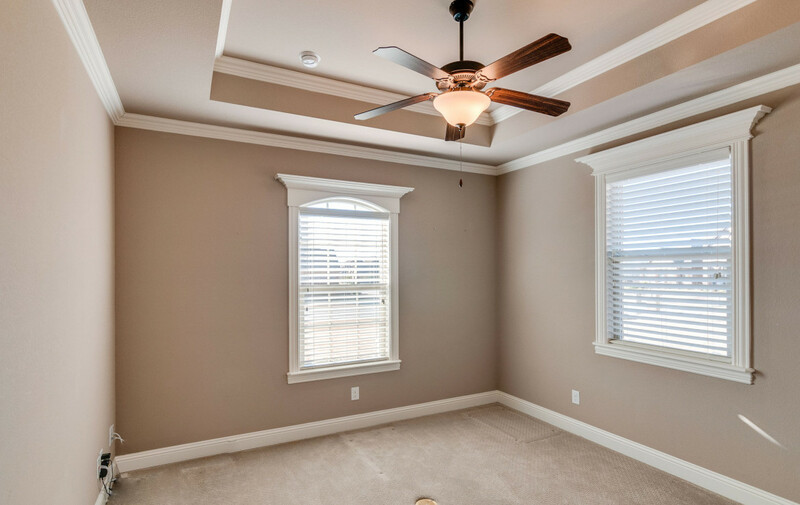 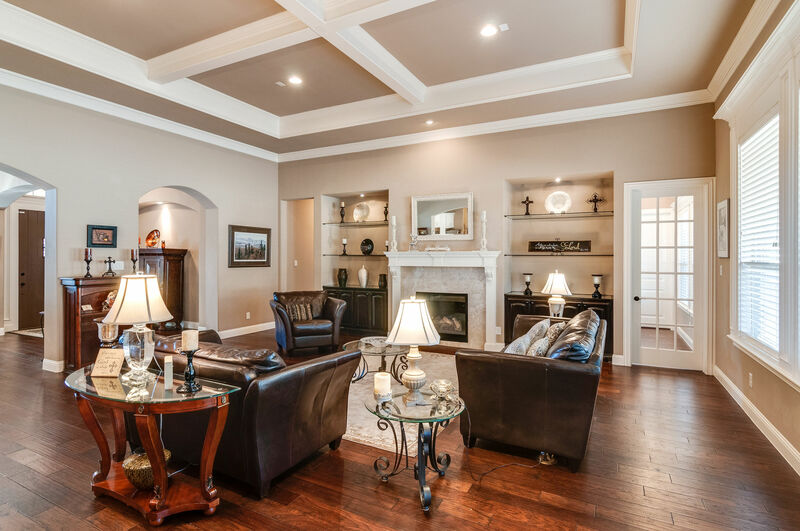 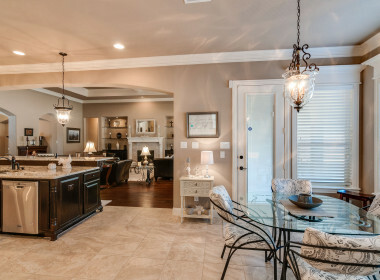 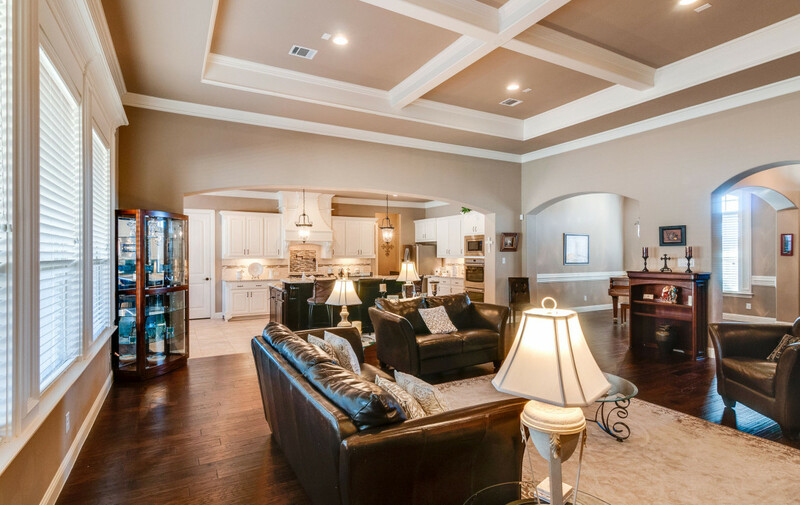 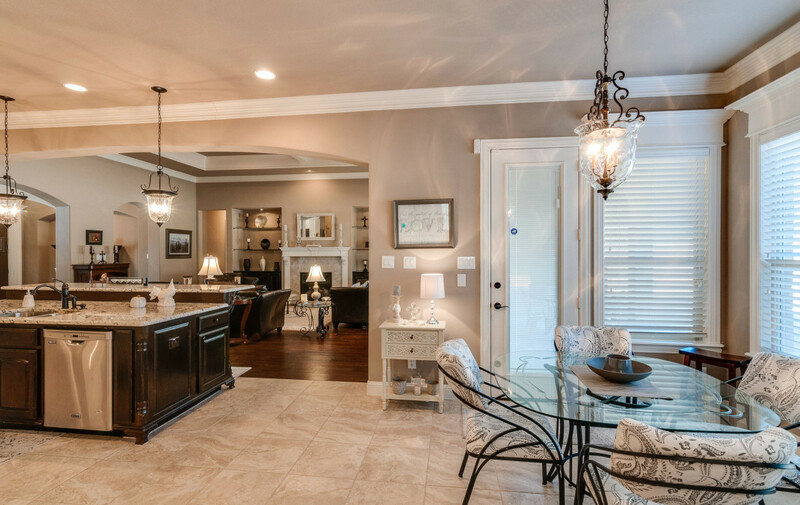 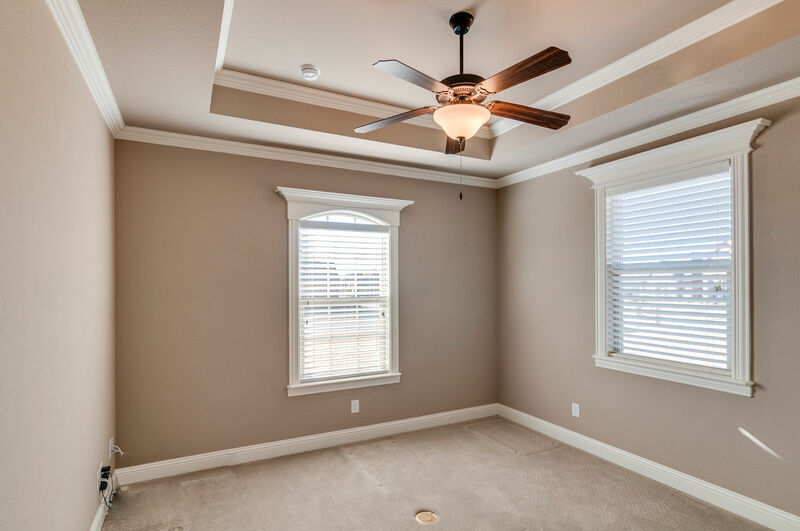 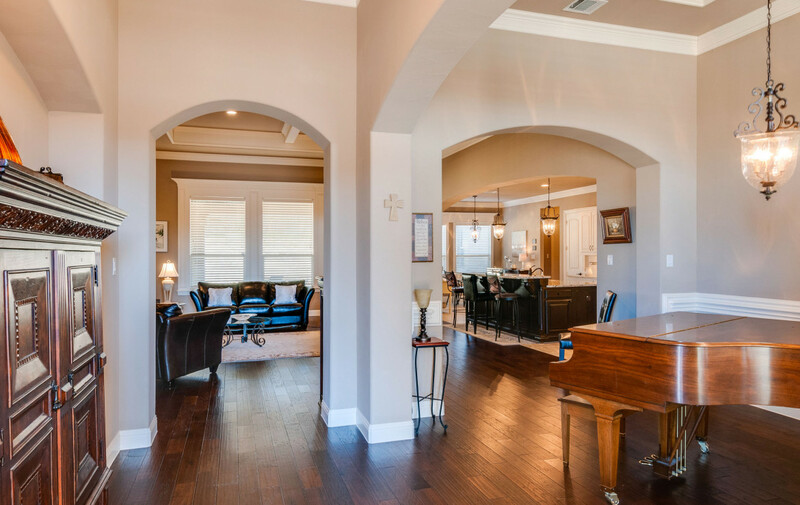 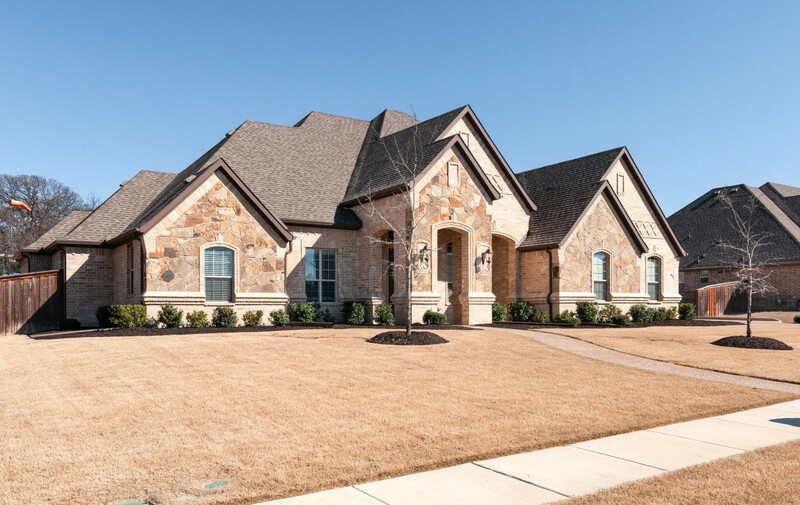 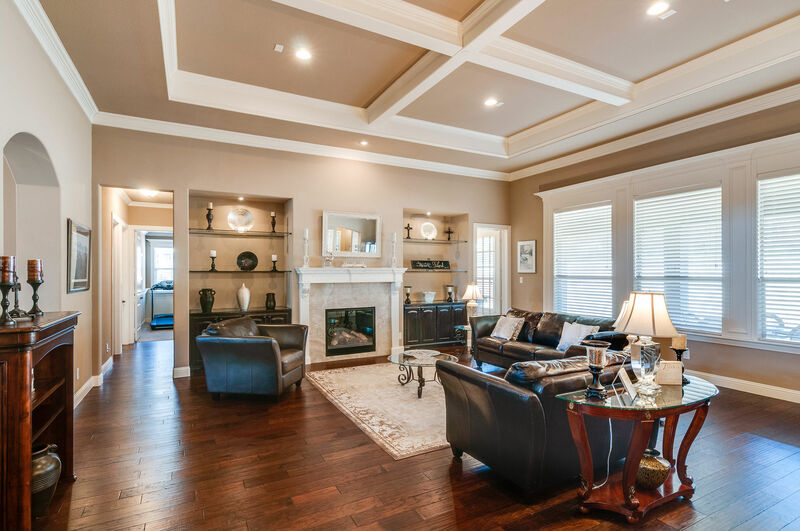 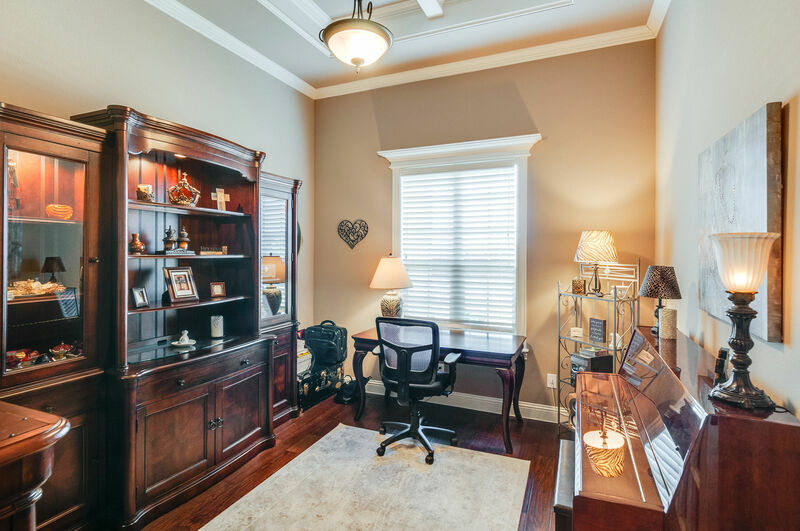 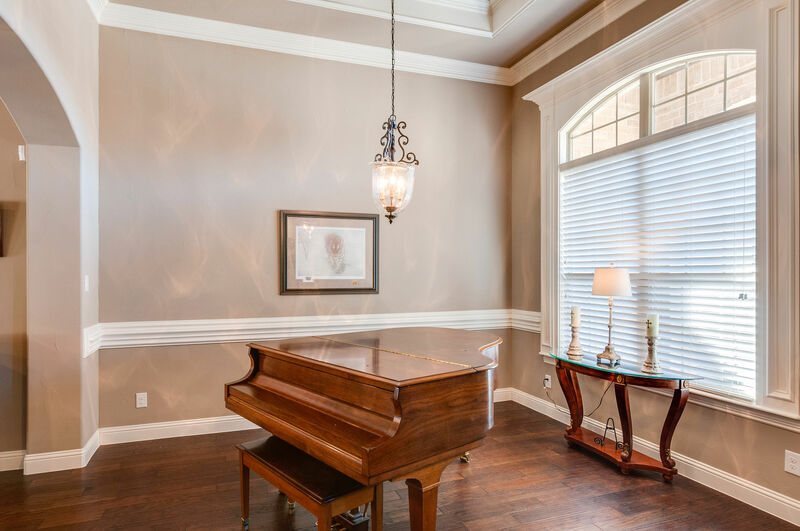 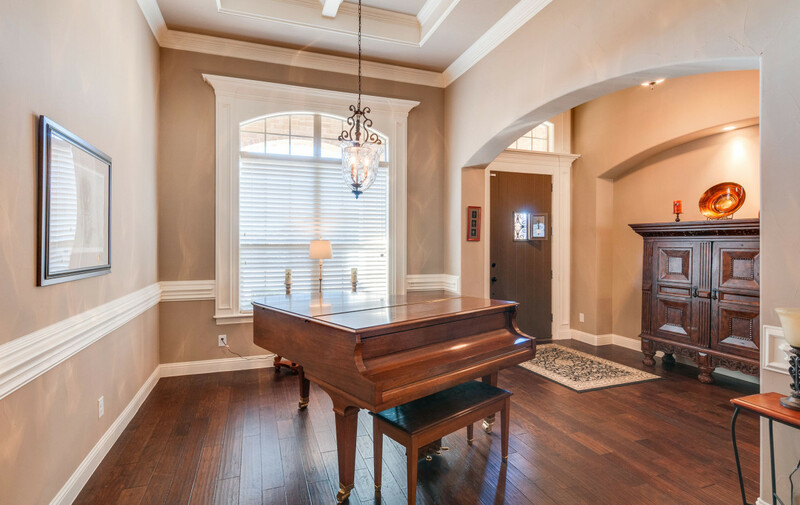 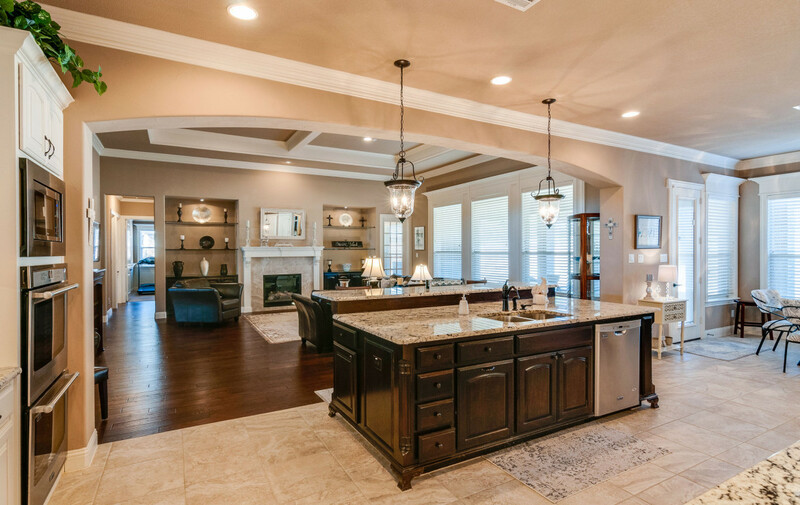 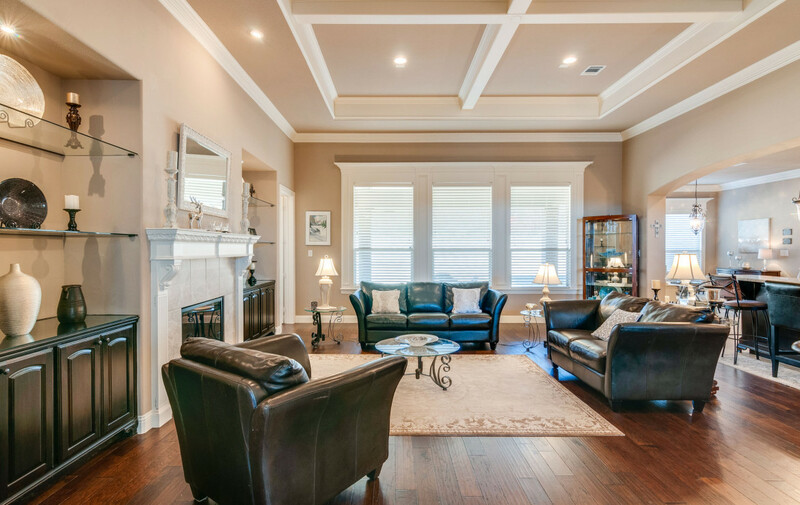 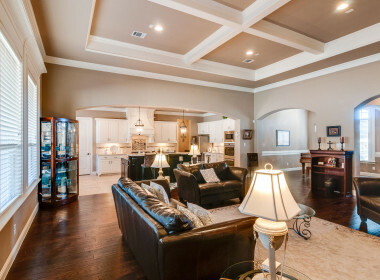 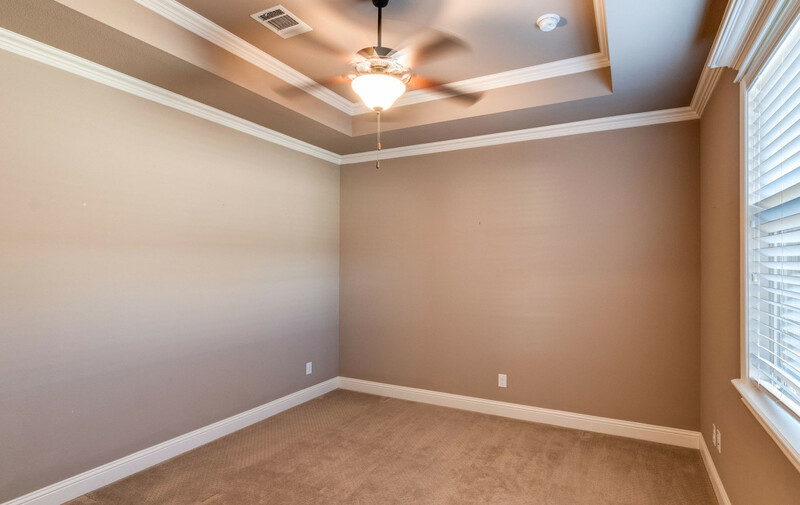 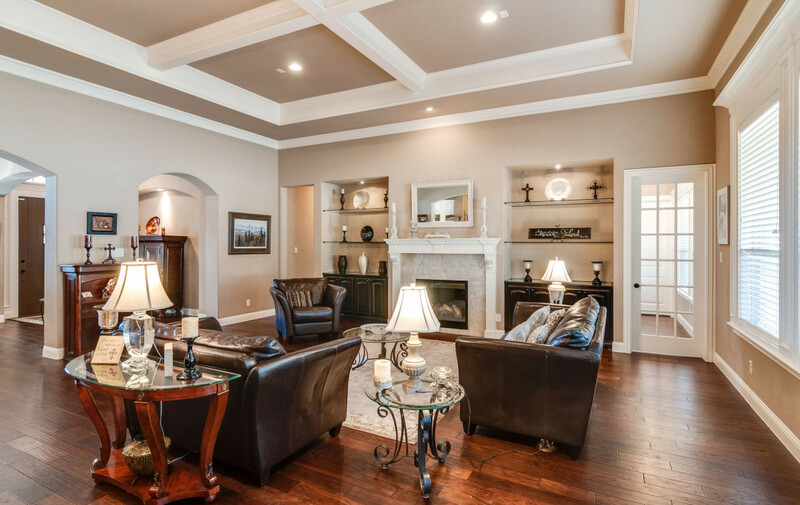 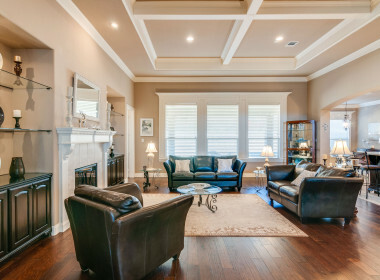 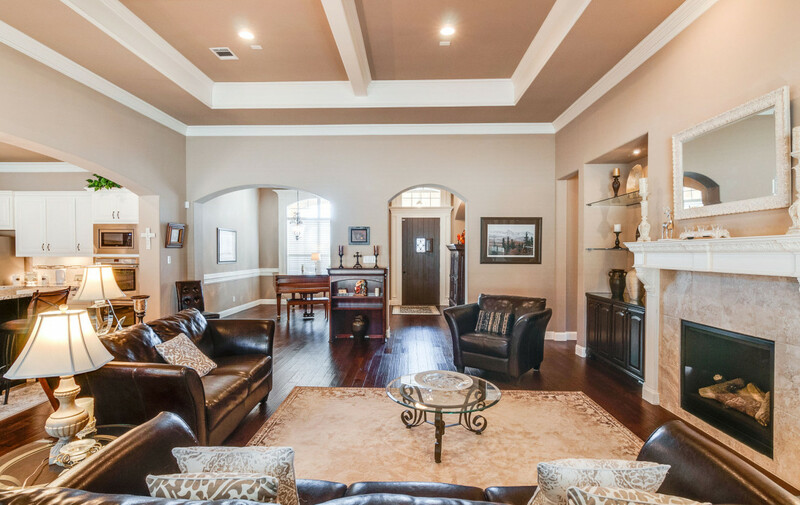 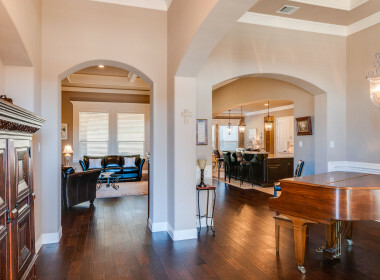 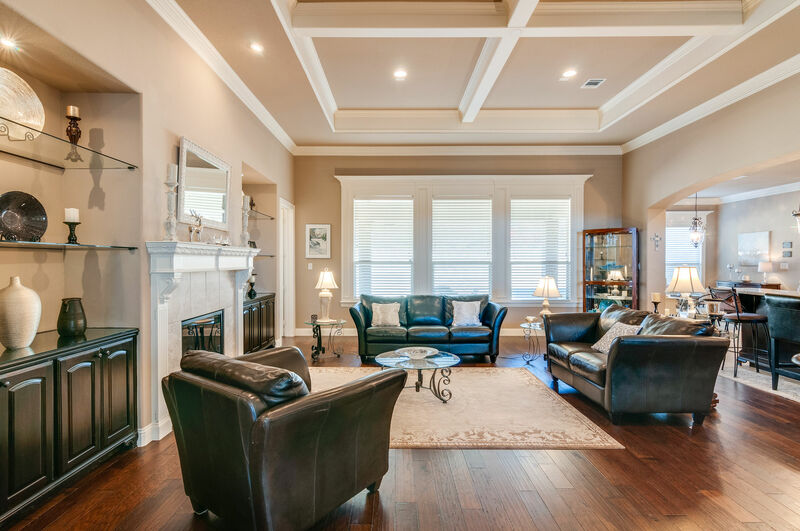 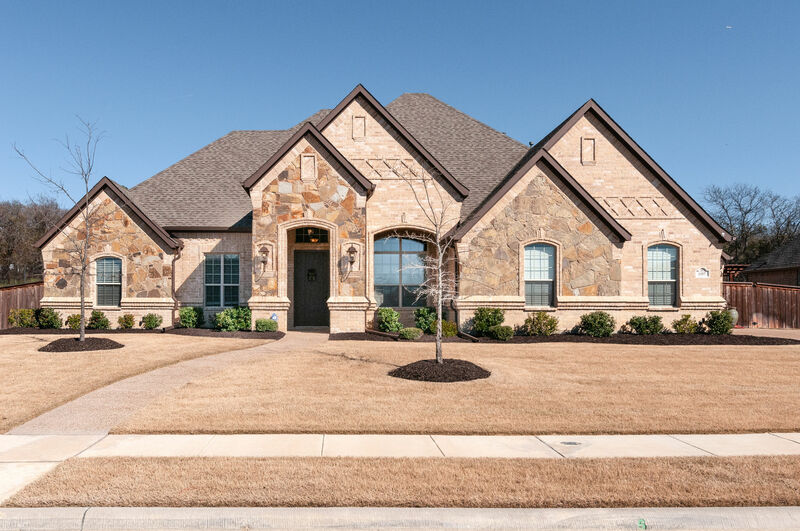 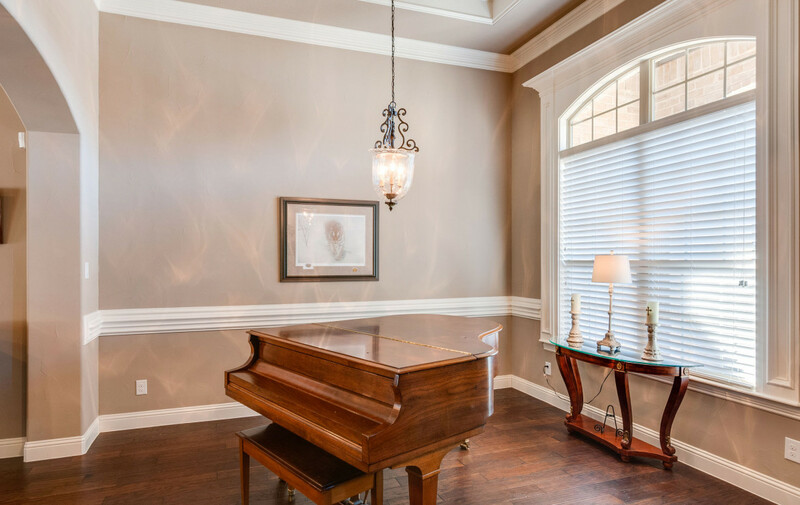 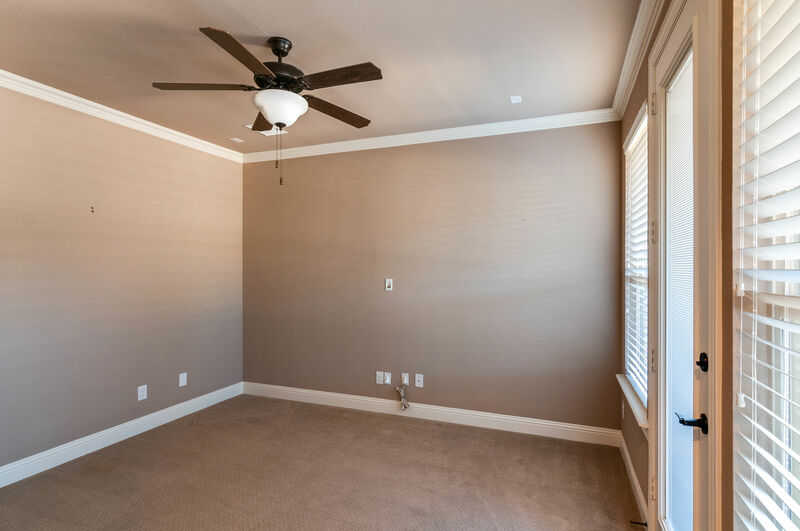 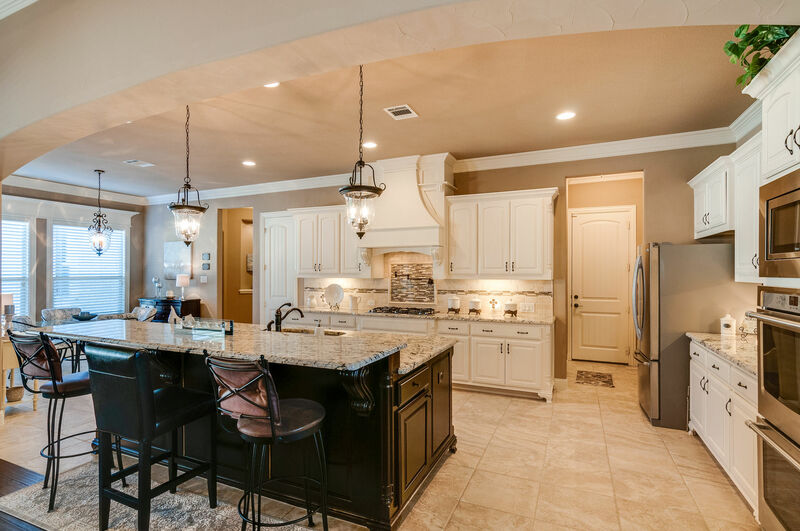 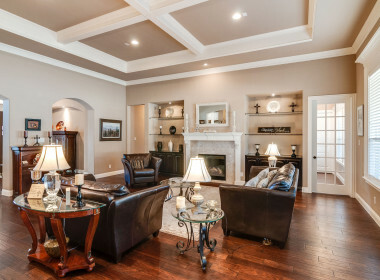 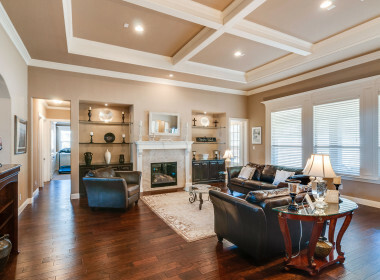 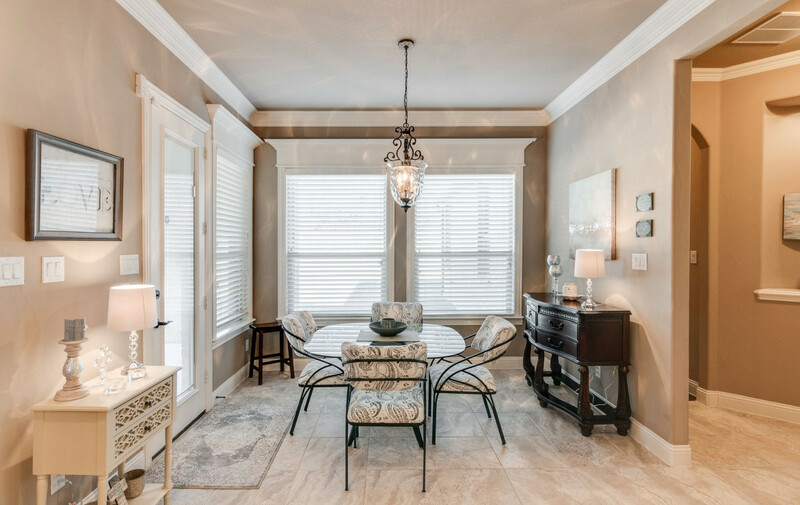 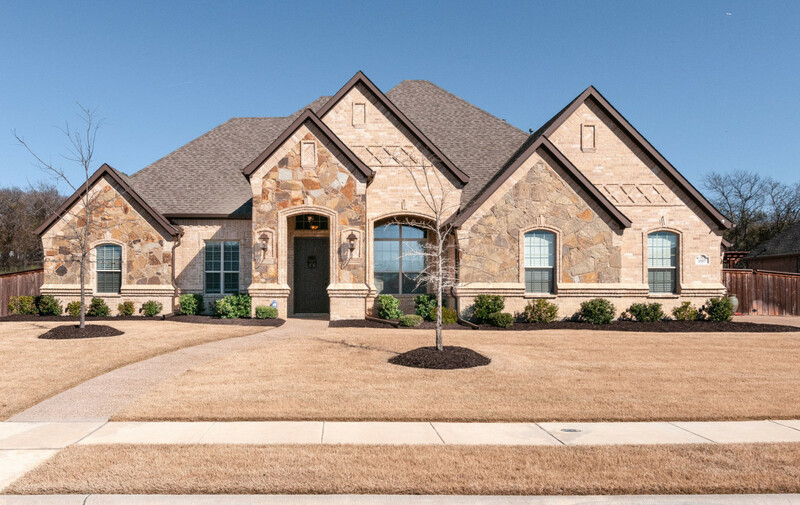 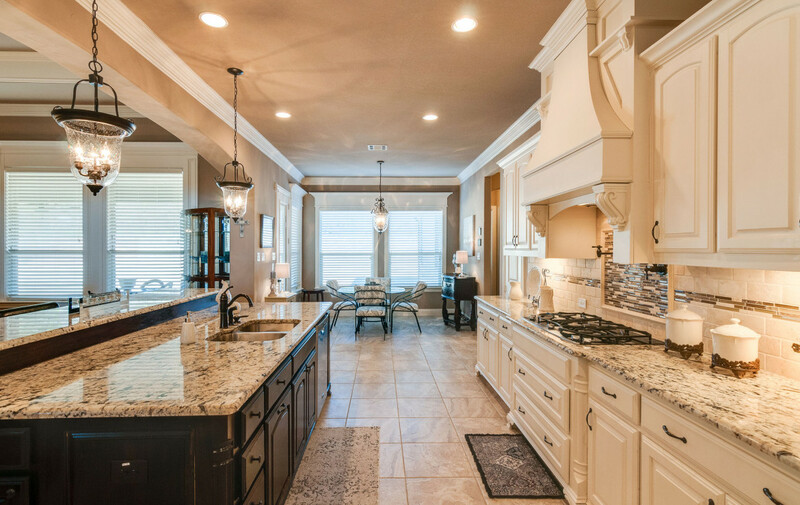 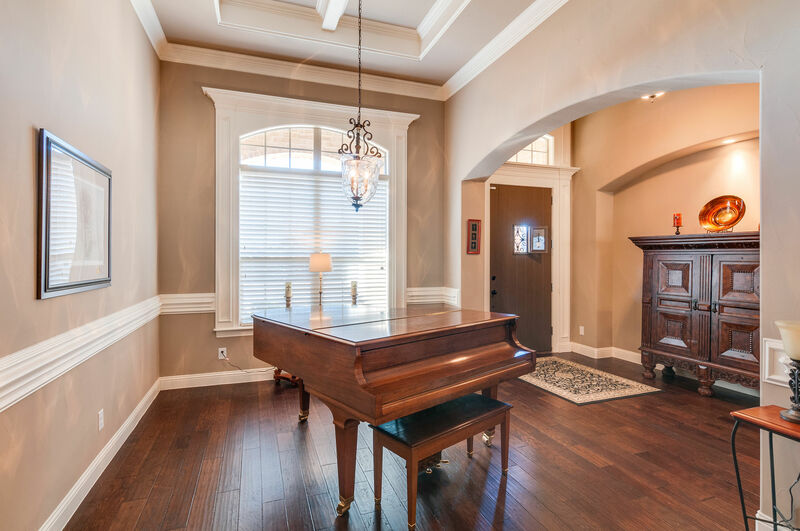 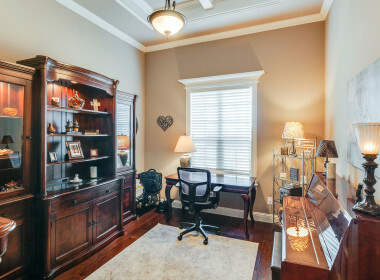 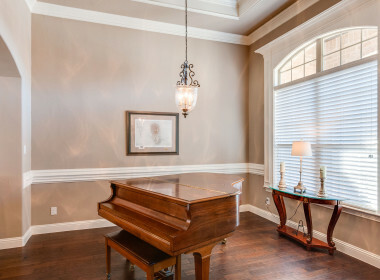 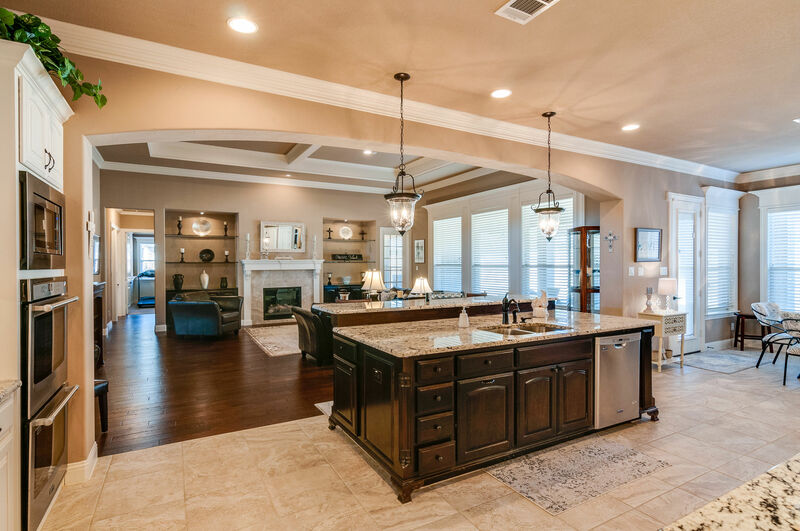 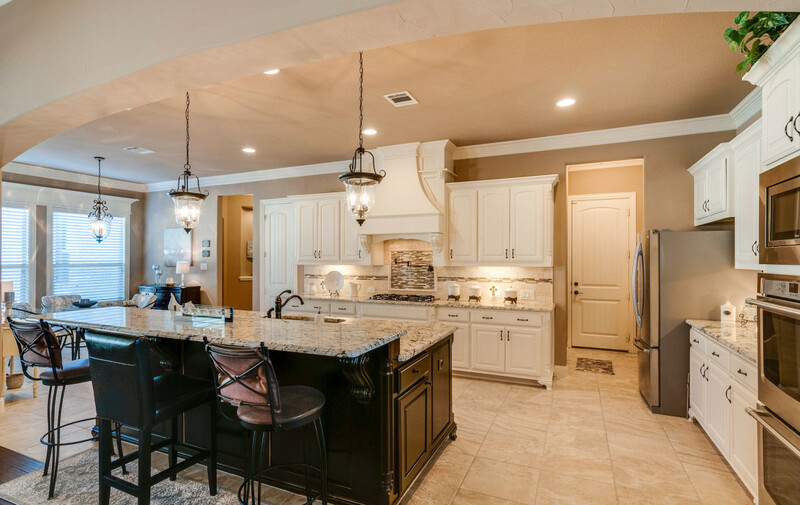 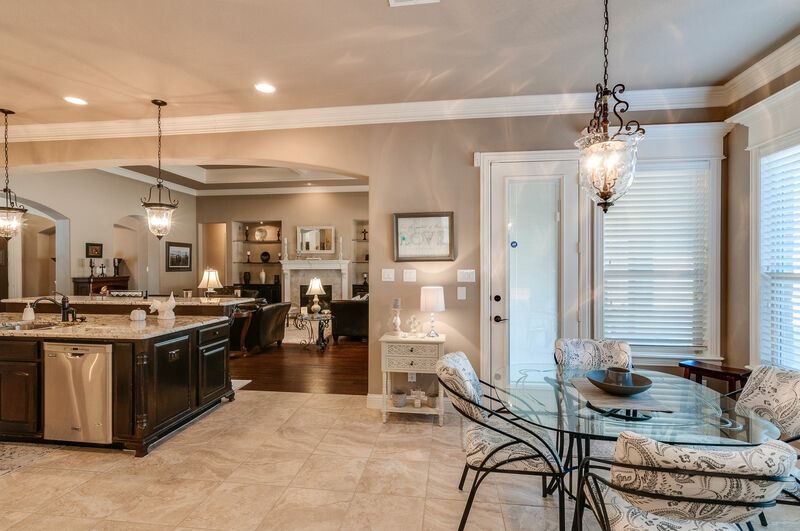 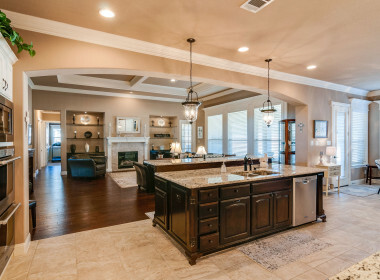 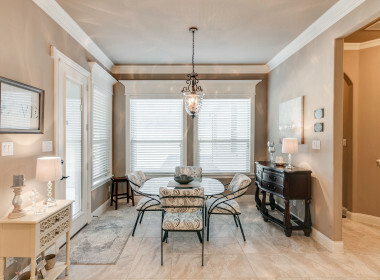 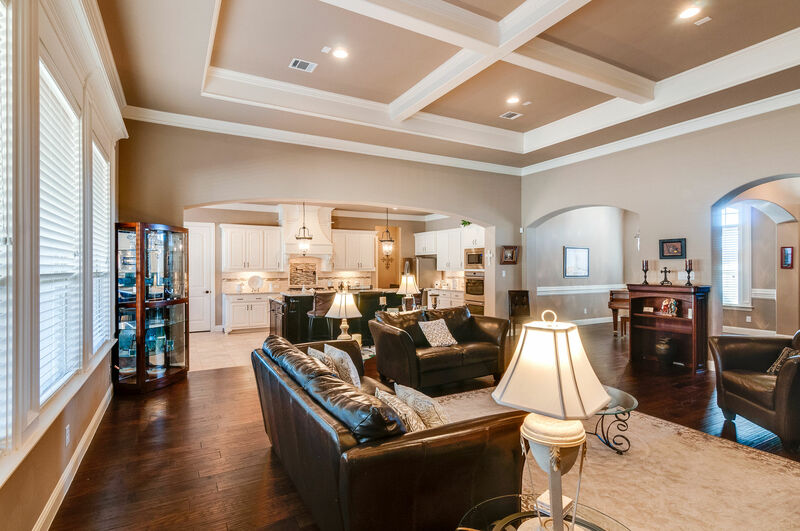 This beautiful Light & Bright open floor plan features a spacious living room with hardwood floors, an elegant fireplace, coffered ceiling & a wall of windows for the perfect view of the backyard living. 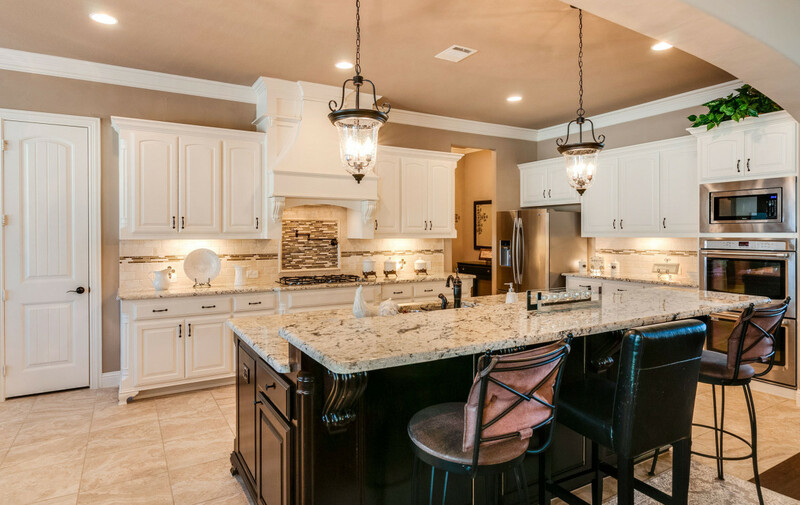 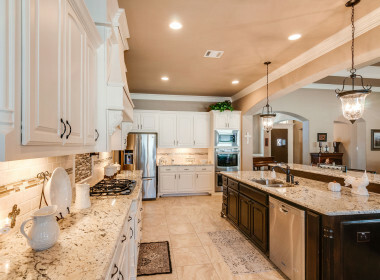 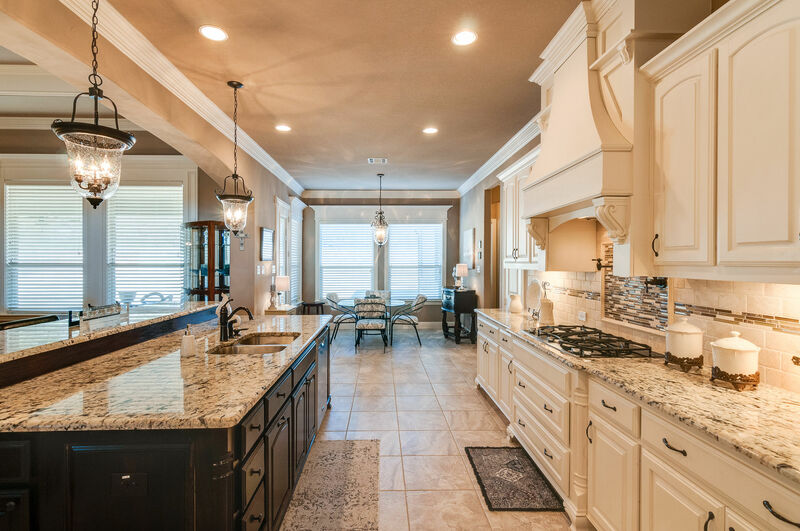 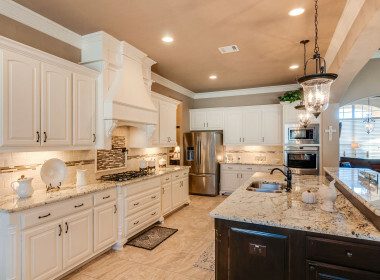 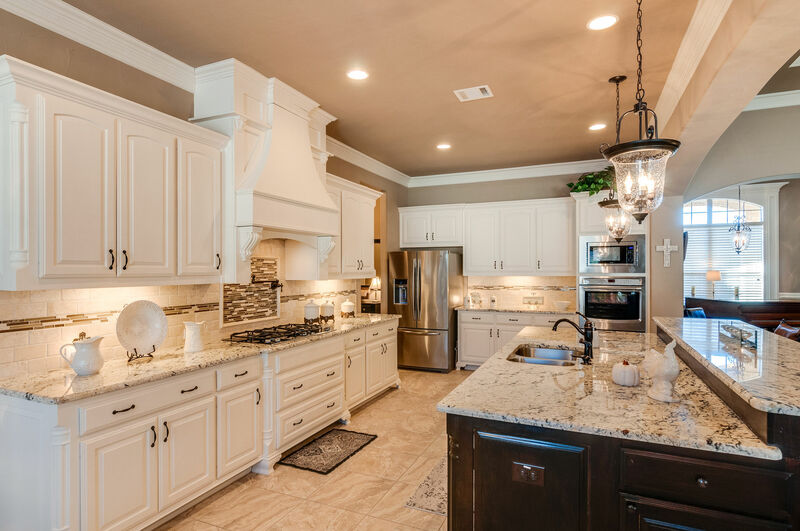 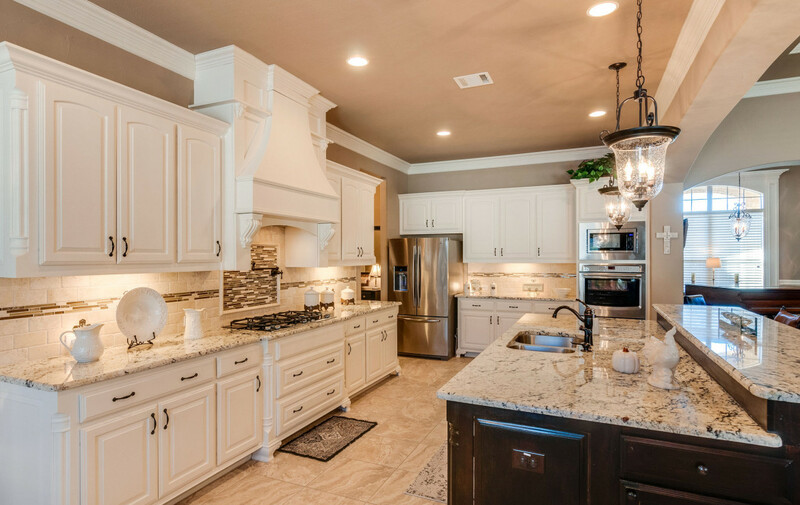 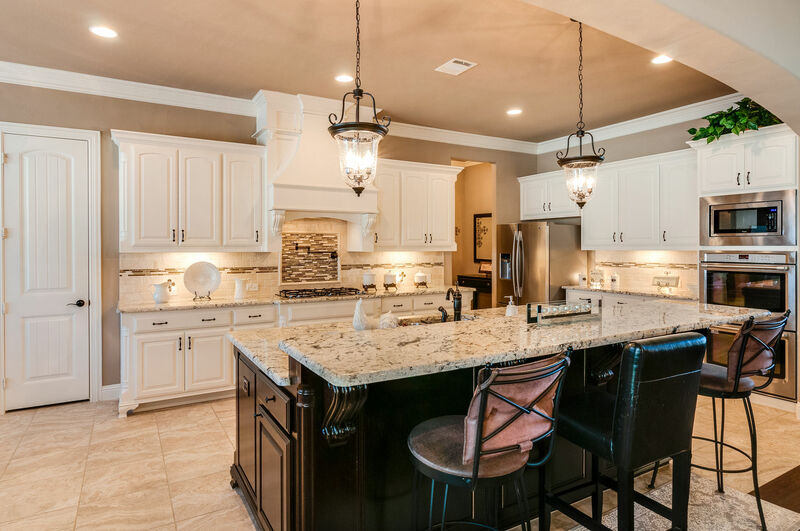 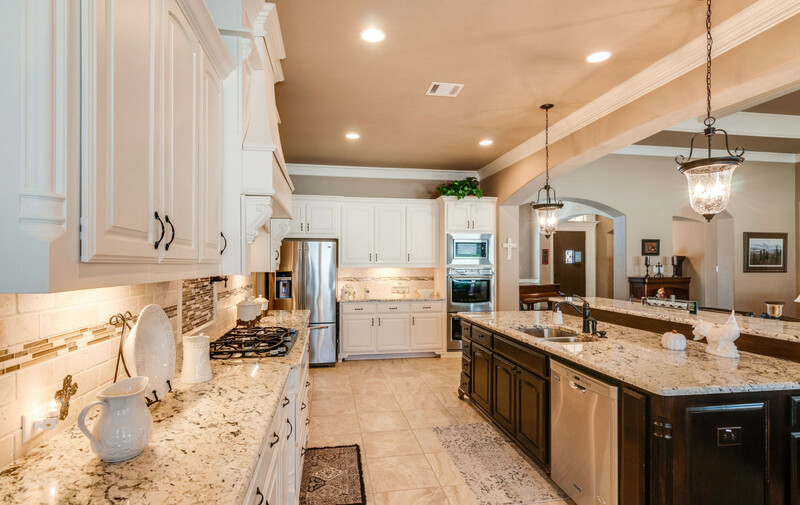 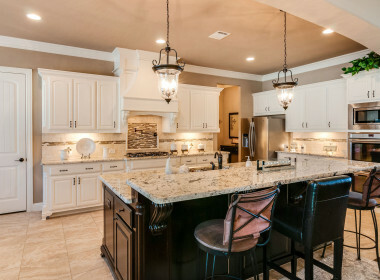 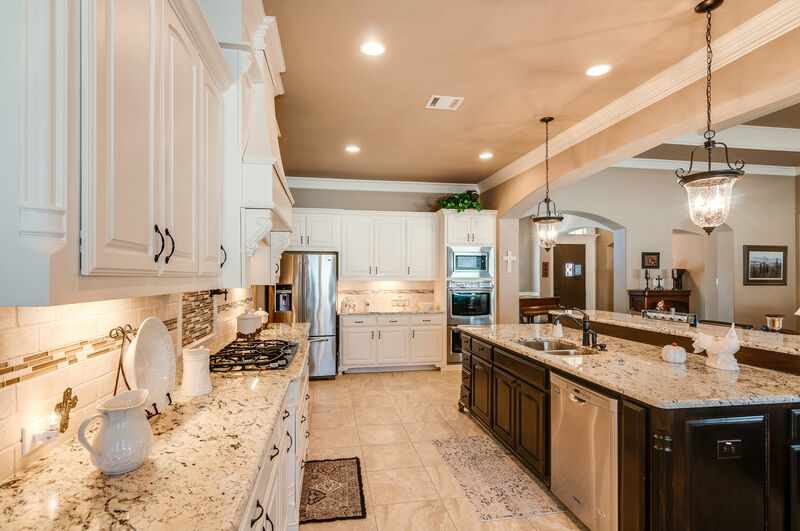 The gourmet kitchen boasts granite counters, an island with breakfast bar, 5-burner gas range, pot filler & Stainless Steel appliances. 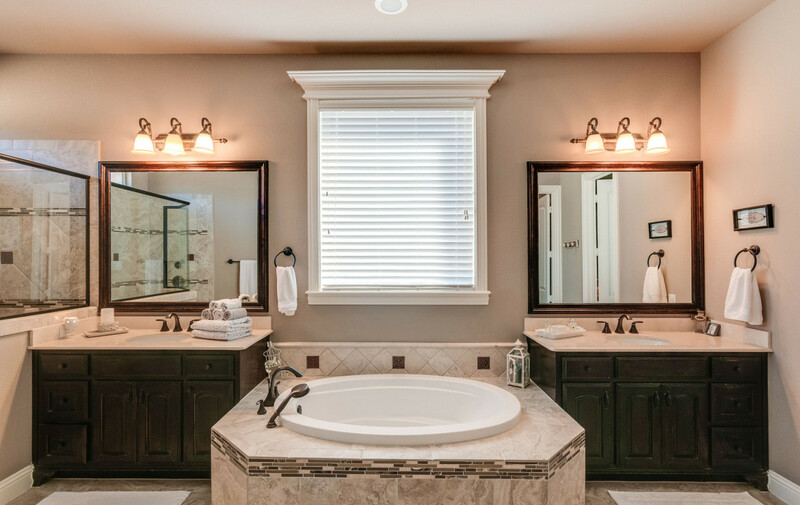 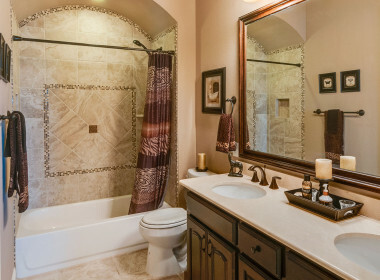 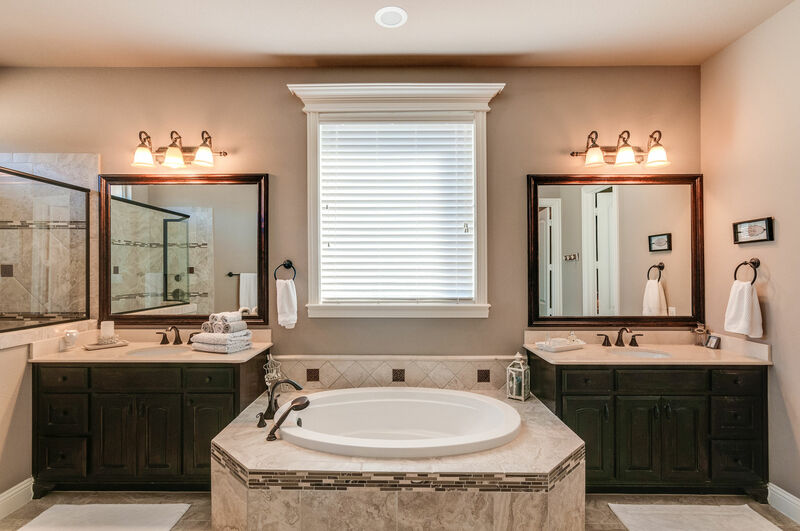 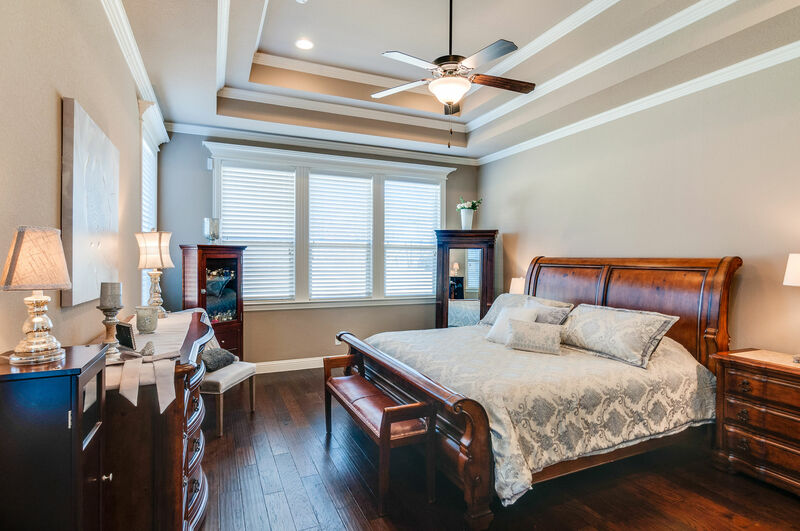 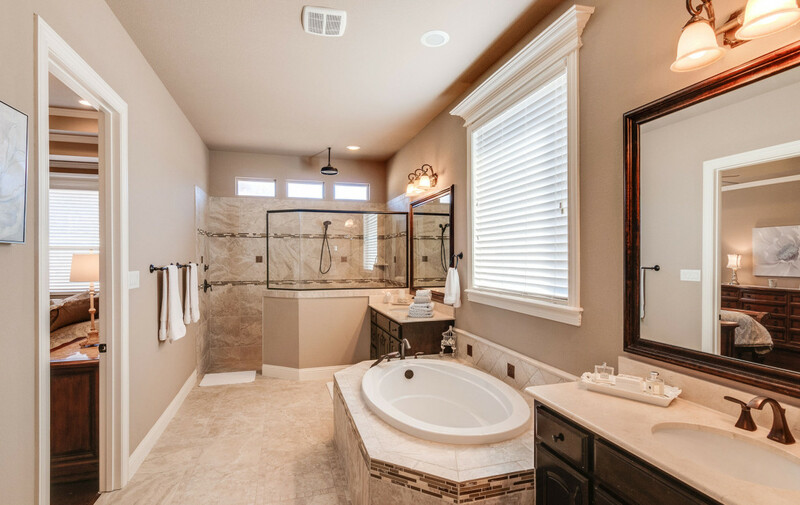 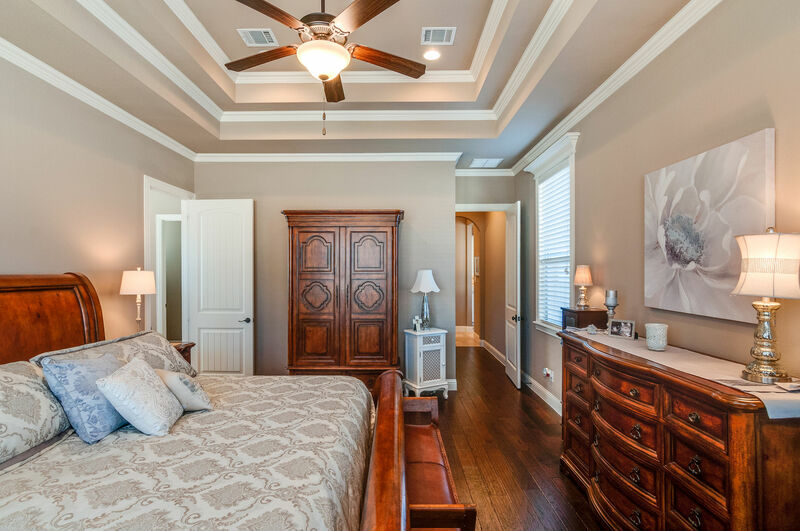 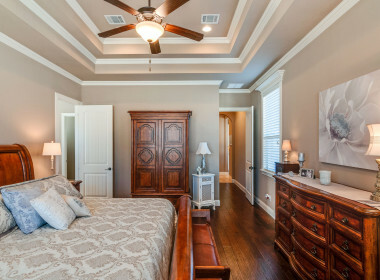 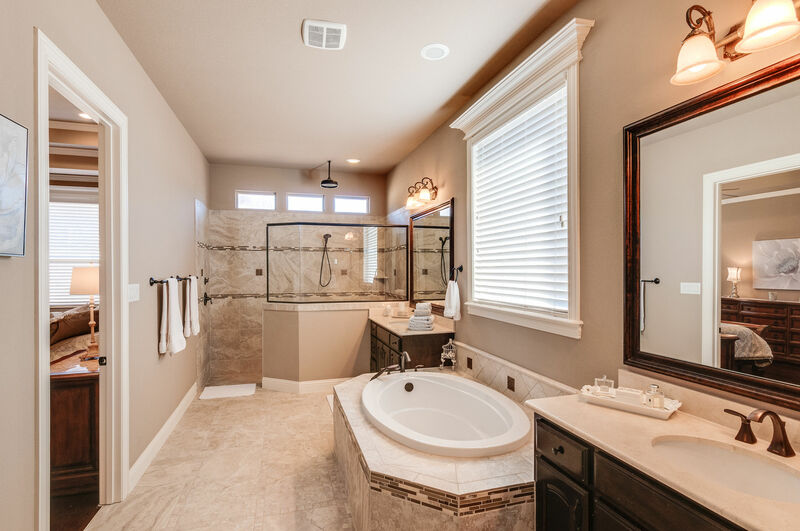 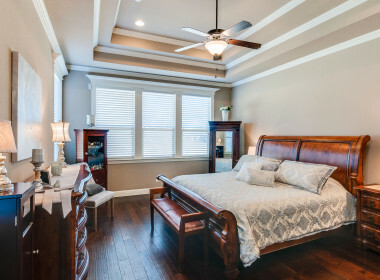 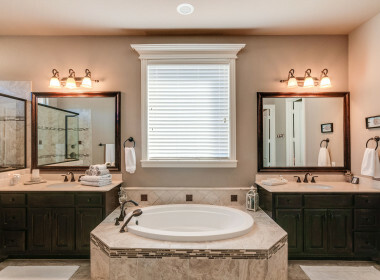 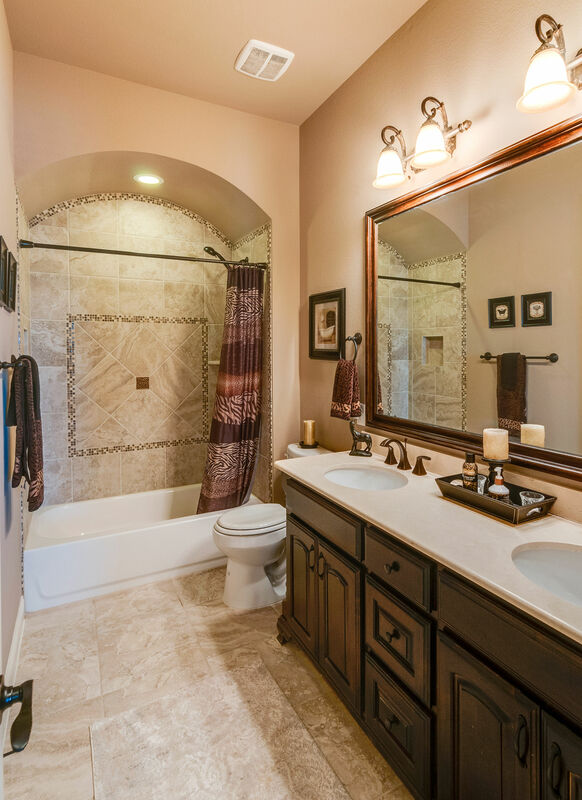 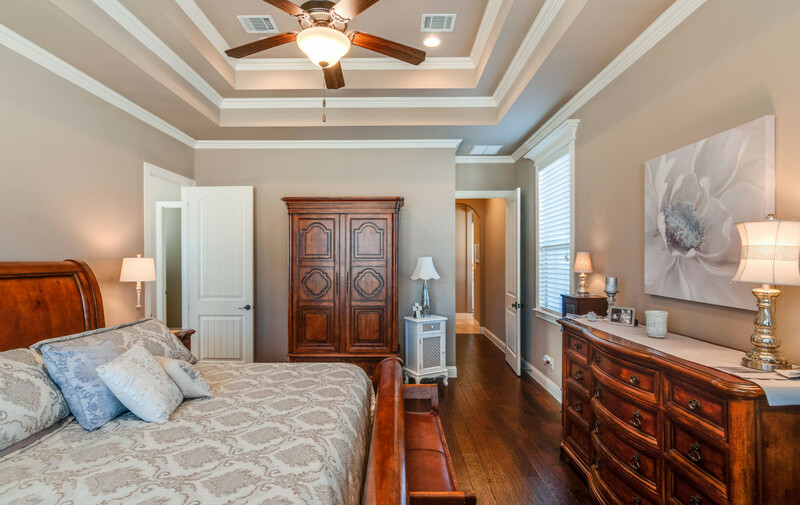 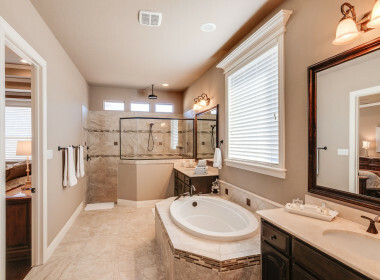 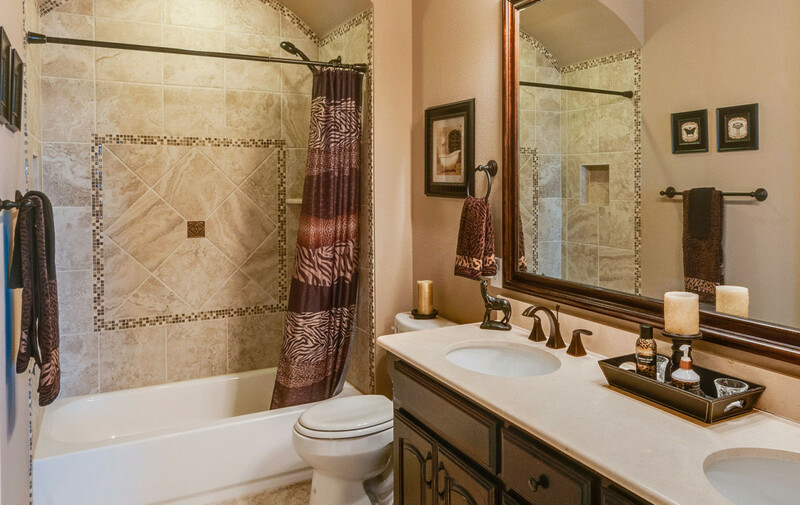 Retreat to the spa-like master suite with a large garden tub, walk-in shower & dual sinks. 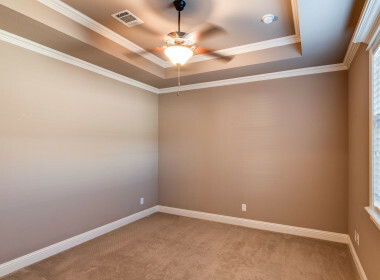 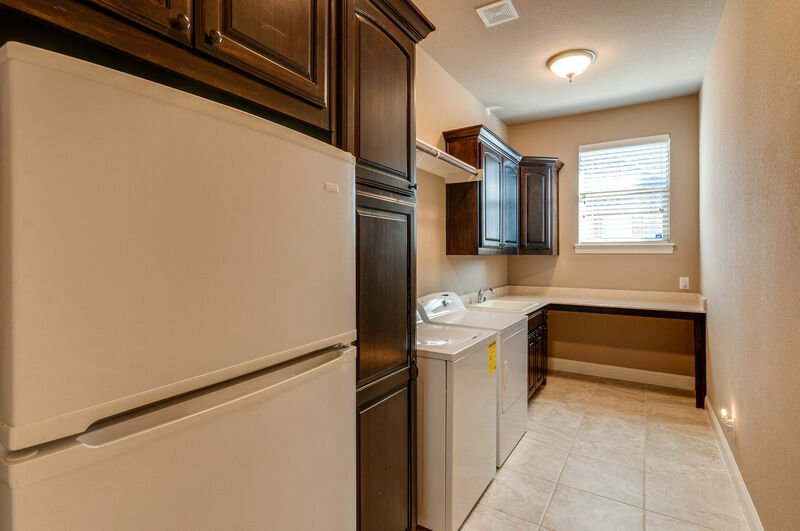 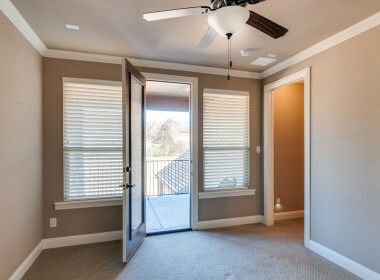 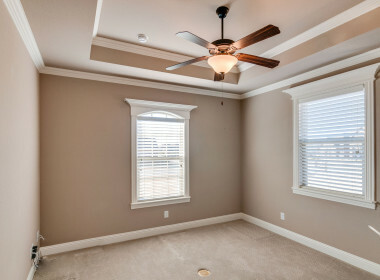 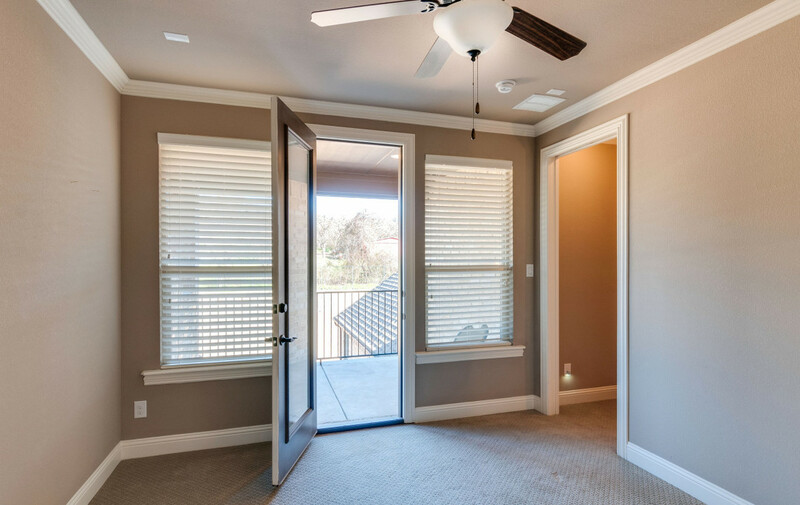 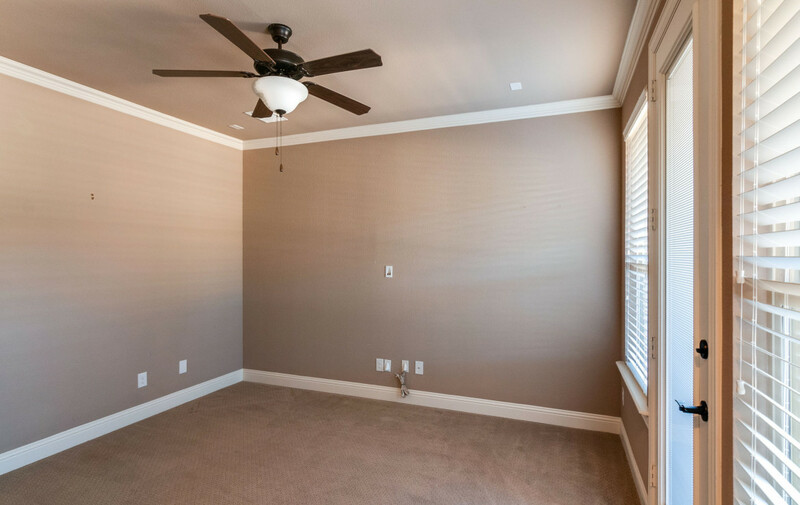 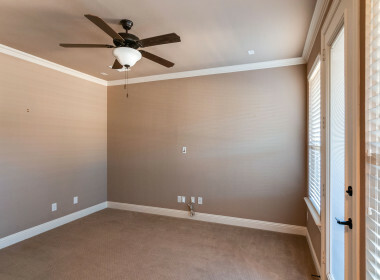 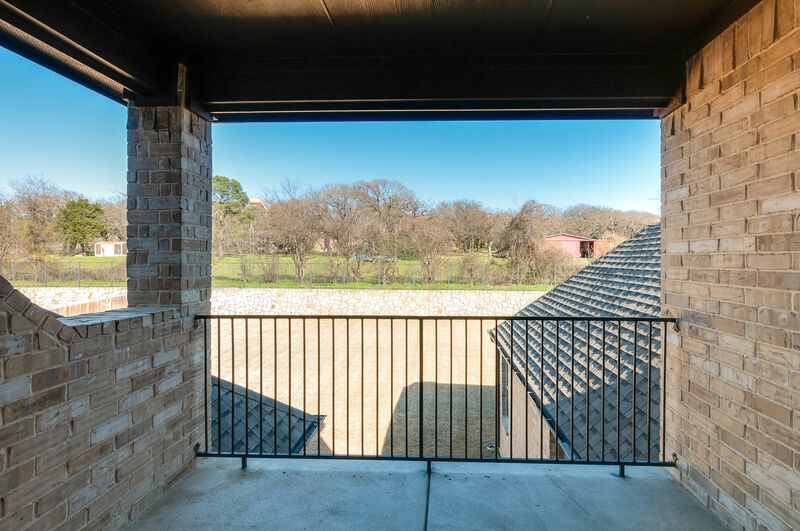 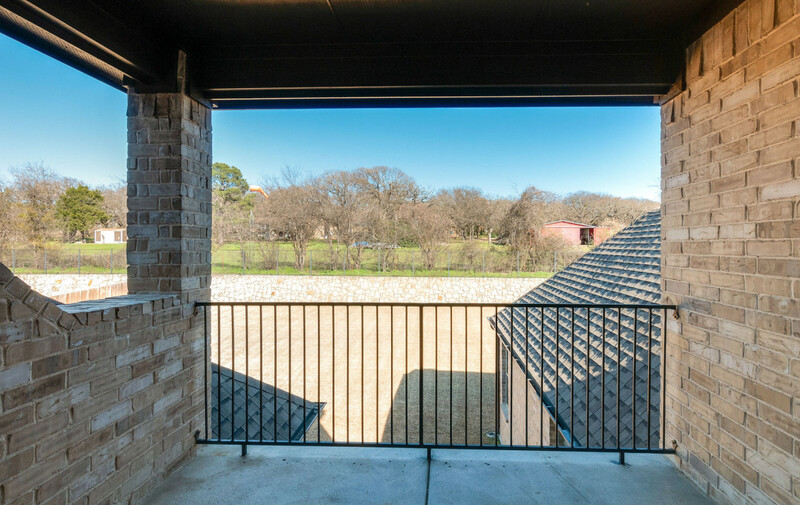 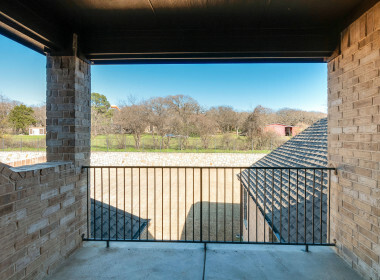 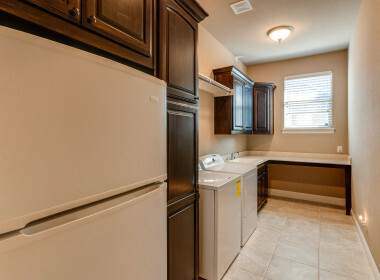 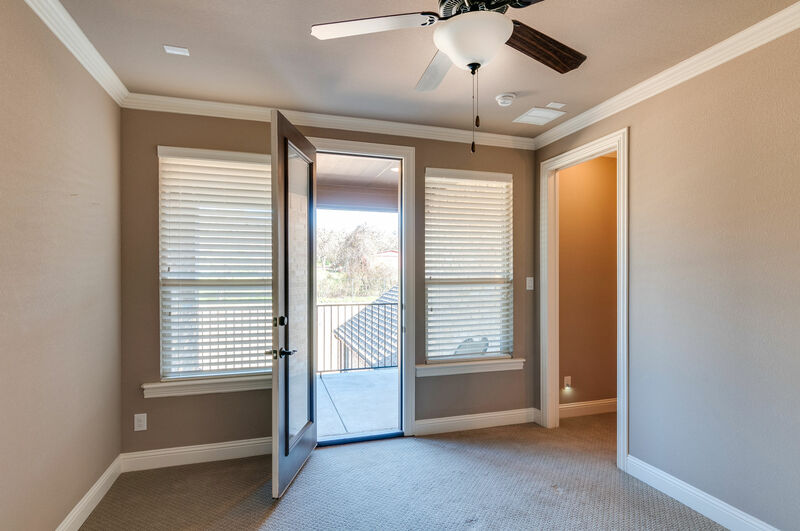 Upstairs find a flex room with private balcony overseeing the huge backyard! 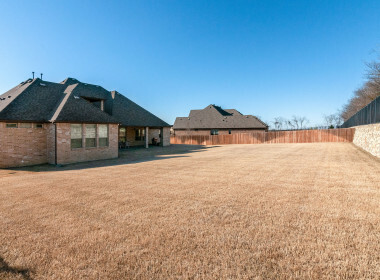 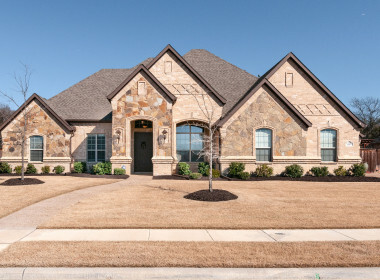 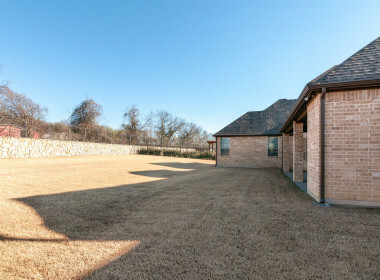 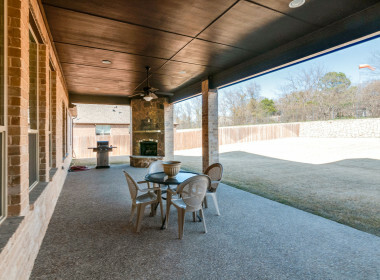 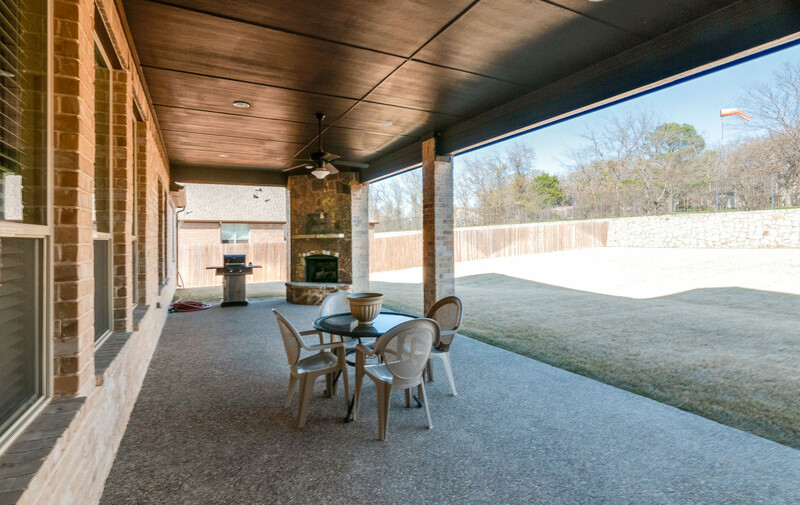 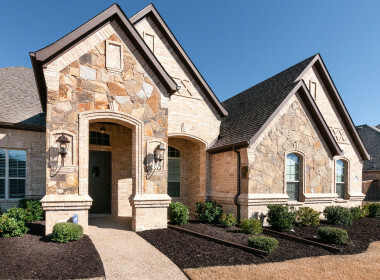 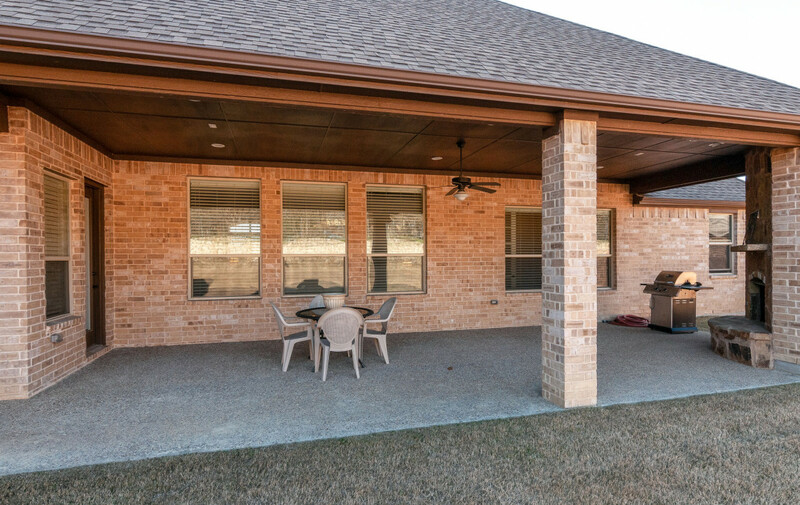 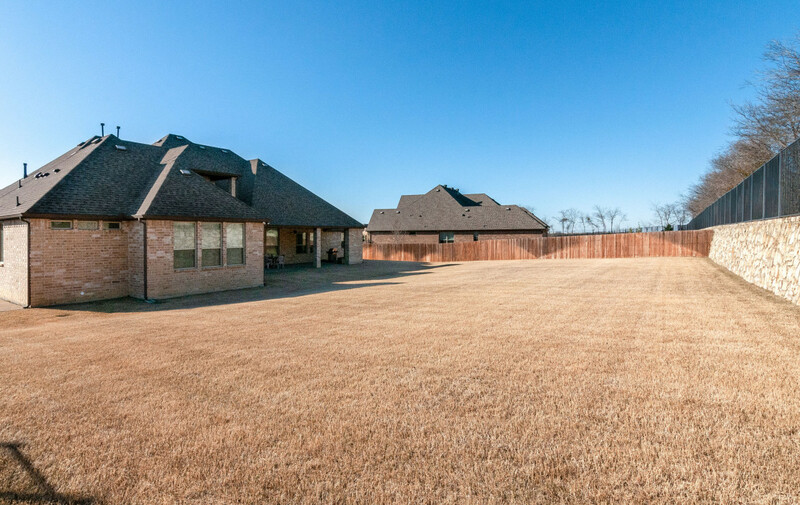 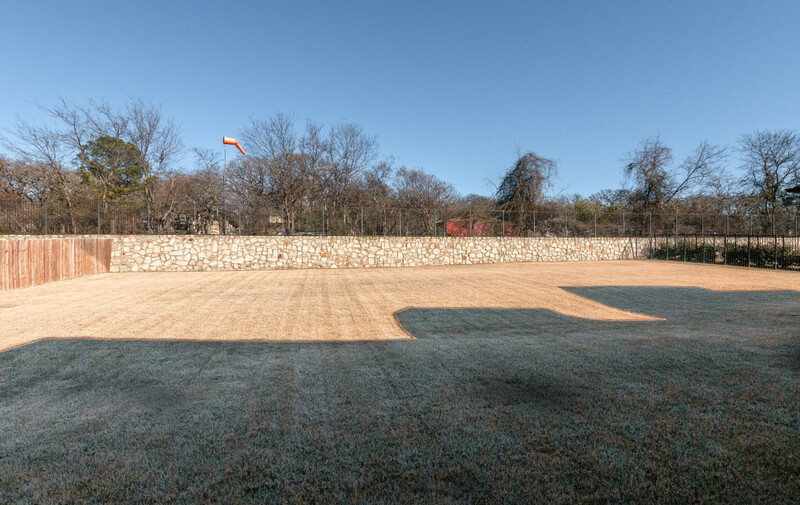 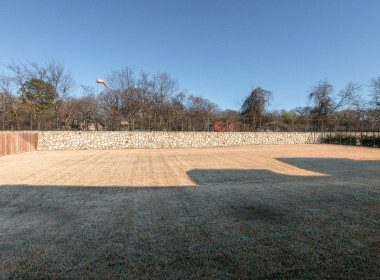 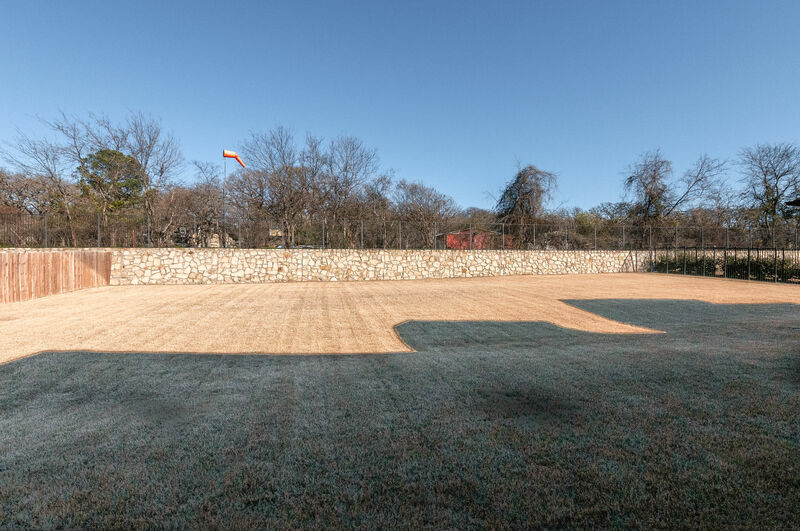 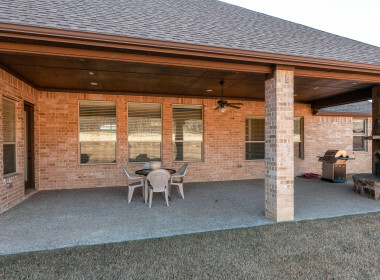 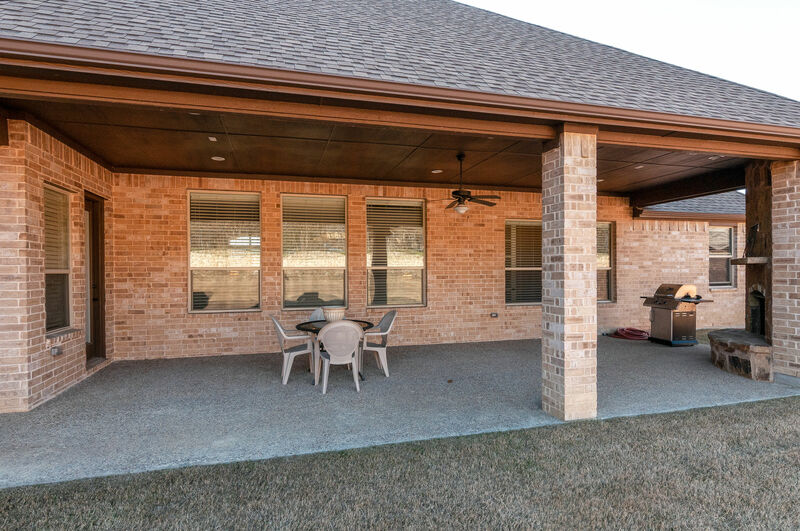 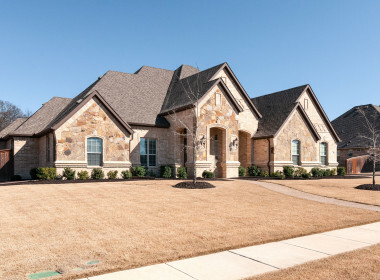 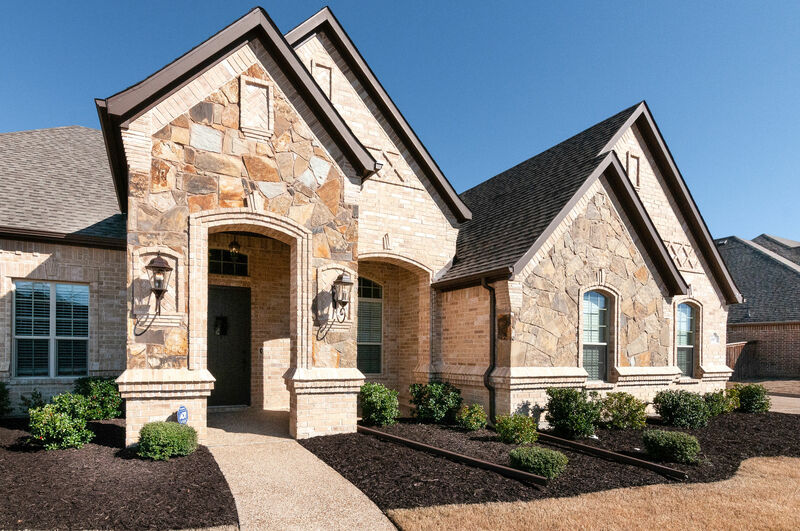 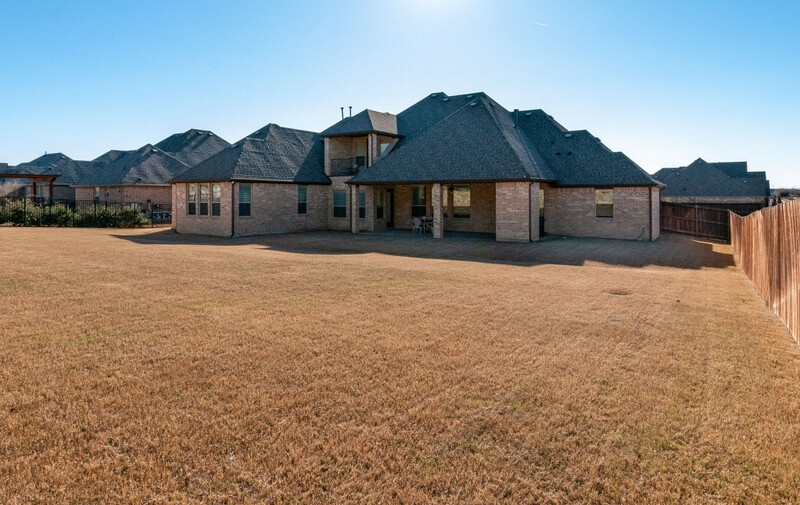 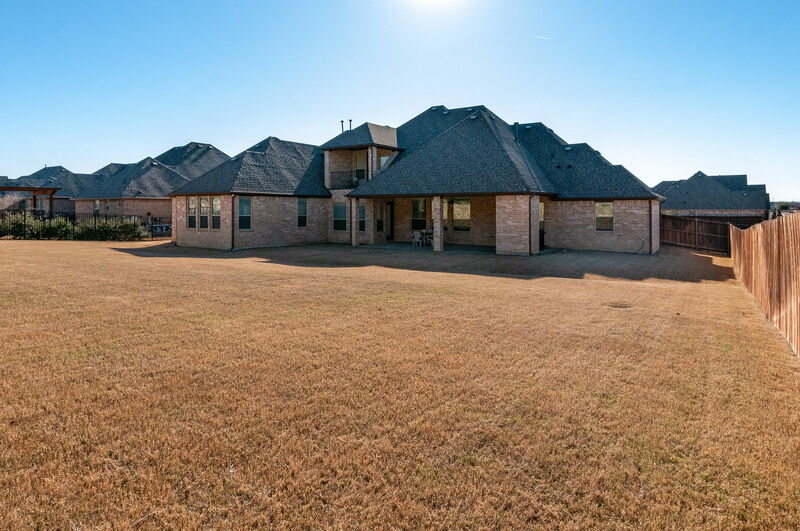 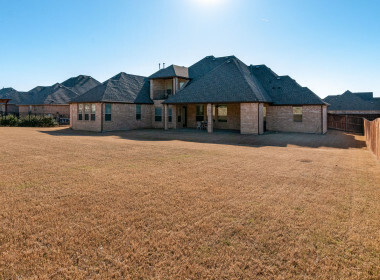 Enjoy the outdoor fun with a sizable covered patio, fireplace & extra room to spare. 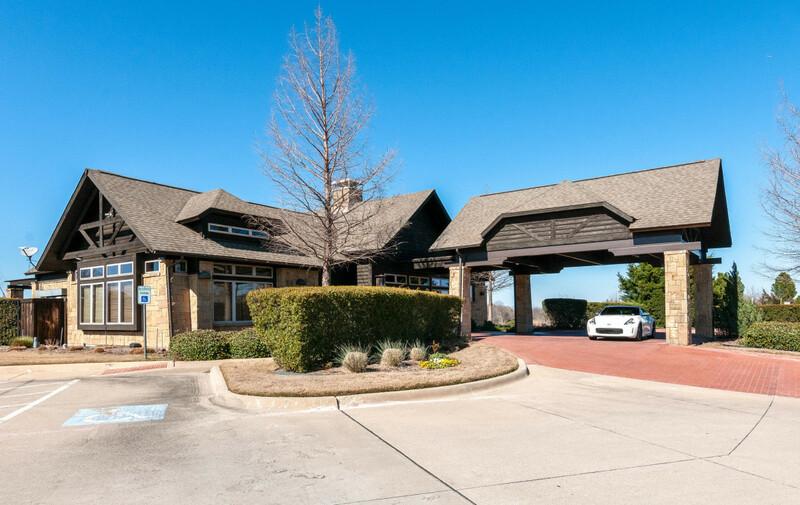 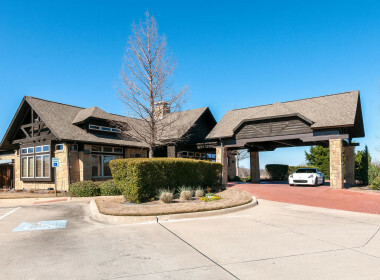 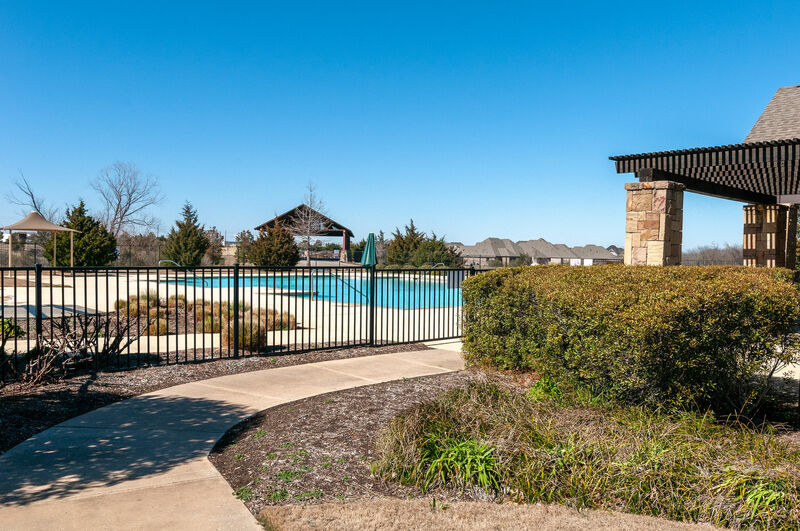 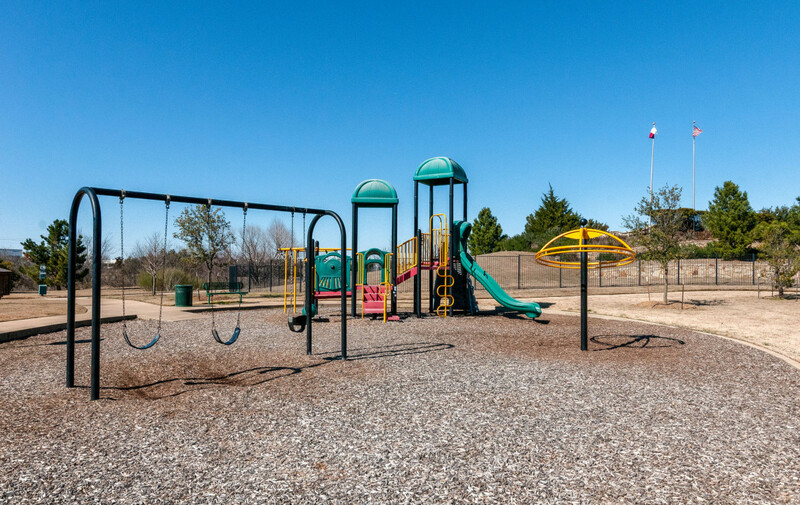 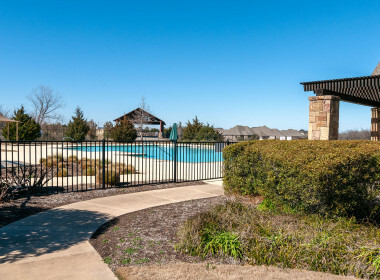 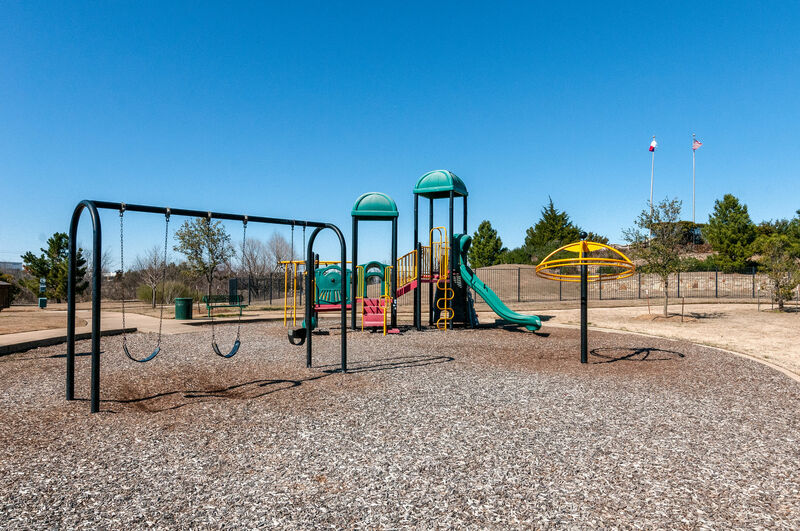 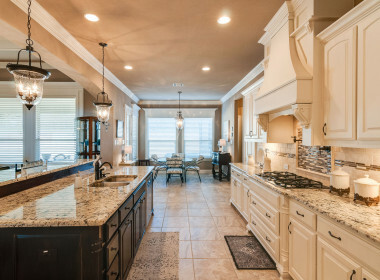 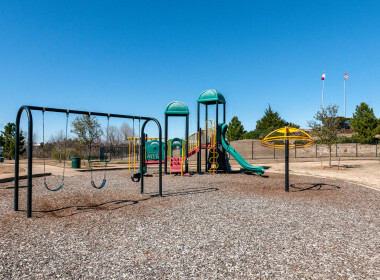 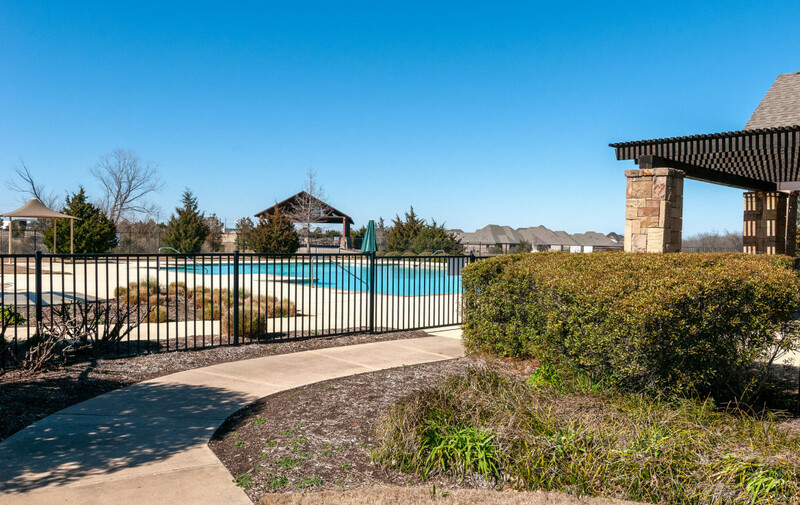 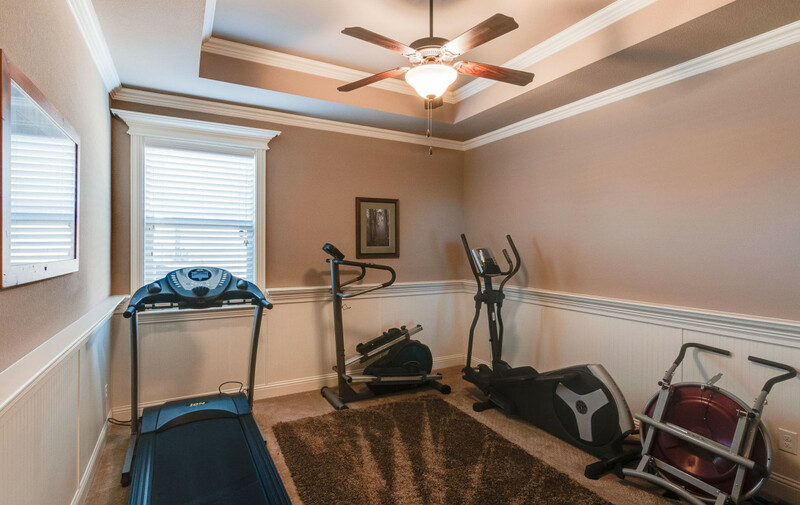 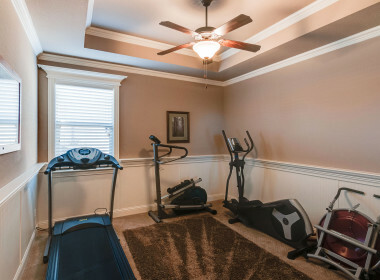 Neighborhood amenities include a pool with a slide, parks, fitness center & trails.